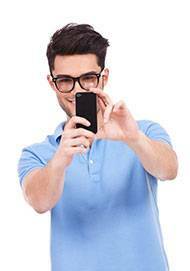 Eyeglasses are an optical device as well as a fashion accessory. The current trends in contemporary eyewear in Saint Louis are sleek frames in new and interesting colors. Lightweight and flexible materials such as modern plastics and titanium allow for wonderful colors and materials that can be fabricated into unusual and stylish shapes. High tech lens materials offer multiple options for the very best vision possible. 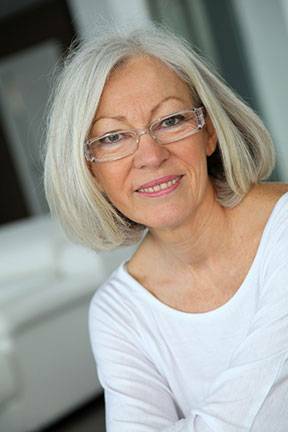 At Vision Care Consultants, we offer a wide variety of both frames and lenses. Our highly skilled opticians will assist you in the selection of your frames to fit your face and your style as well as your prescription. Our opticians are skilled in assessing your specific vision needs and matching your needs to the great variety of lens and frame options available today. Our full service in-office laboratory can fabricate most prescriptions in a very short period of time without sacrificing quality. We realize that the most precise ophthalmic prescription written by our eye doctors is only as good as the glasses that are made from that prescription. We provide access to the most current lens designs available today which improve both cosmetic appearance and visual function. Designs such as super thin high index lens materials, progressive addition or “no-line” bifocal lenses, photochromatic “transitions” lenses, and a great selection of almost 1,000 contemporary and designer frames allows our patients to both see great and look great with their glasses. We have the ability to provide our patients with a variety of unique and exclusive eyewear frame designs that simply can not be found anywhere in our area! These frame lines provide exceptional style and specialized function to make your eyewear experience something very special. Exciting lines such as Oliver Peoples, Paul Smith, Kazuo Kawasaki, 2.5 Eyephorics and others like, Prodesign Denmark, Takumi, Vera Bradley, Jones New York, Coach and Lucky Brand allow us to bring you something different and wonderful in stylish and functional eyewear. New high index and super high index lens materials allow us to fabricate lenses thinner and lighter than ever before. There are basically two types of high index materials. The first is polycarbonate. This is known for being as light as a feather. It is thinner than traditional plastic by 20% to 25%. It is the lightest weight lens material and the most impact resistant. It is the most economical of the high index materials. The second material is 1.60 high index; it is about 30% to 35% thinner than conventional plastic lenses. The thinnest of all materials is super high index. This material is over 40% to 45% thinner than conventional plastic lenses. This material is often made in what is known as aspheric curves, which keep the lens as thin as possible while maintaining optical excellence. There are three levels of super high index; 1.67, 1.71 and 1.74. 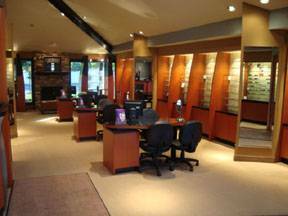 Our opticians at Vision Care Consultants in Concord, MO will help you decide which lens is best for your prescription and life style. New lightweight plastic photochromatic lenses are able to change from light to dark tint in just a moment. These lenses lighten to about a 10% tint without UV and darken to a 70% tint when exposed to the UV rays of the sun. Now many patients can avoid the trouble of having two pairs of glasses while still taking advantage of virtually all lens designs such as invisible bifocals, thin lenses, etc. and still have the UV protection of prescription sun glasses all in one pair. New designs of these “invisible” bifocals are easier to adapt to and provide a continuous range of vision from far into near without the need for lines in your glasses. Progressive lenses come in thin designs and Transitions photochromatic styles. We use only the highest quality progressive lens designs available, which provide the optimum vision performance for our patients. Today the majority of people use computers for many hours per day. This creates specific and unique vision demands that if not addressed will result in eye strain, fatigue, blur, and reduced comfort and visual efficiency. Your eyewear experts at Vision Care Consultants can design specific glasses to be used at the computer. Using the latest lens design technologies you will be amazed with the results!